All About The #RRBC Sponsors Blog Hop! 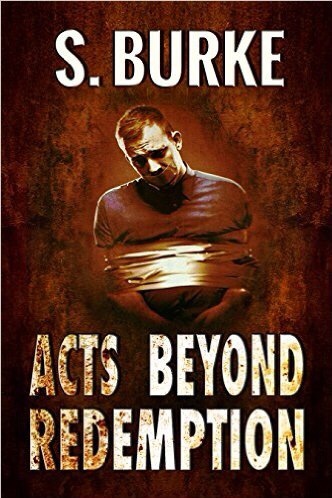 Meet Jan Sikes @rijanjks “The Convict and the Rose.” – Welcome to the World of Suzanne Burke. Hello and Welcome to the first ever ALL ABOUT THE SPONSORS BLOG HOP! These kind members of the RAVE REVIEWS BOOK CLUB (RRBC) donated their support during the 2017 conference, in the way of gift card and Kindle e-book donations for our Gift Basket Raffle. They supported us and now we are showing our support of them by pushing their book(s). MY REVIEW: 🌟🌟🌟🌟🌟 Some books reach in and take your soul into their keeping. This book is one of them. Thank you so much for joining me here today! Your thoughts and comments are always appreciated. This was an amazing series and this was my favorite book out it. Great review:) Enjoy your day Jan! Thanks so much for stopping by, Denise. I know I’ve enjoyed everything I’ve read of Jan’s. Hi Soooz! So nice to see Jan featured. “Broken and alone, in a prison of her own” is such an evocative description. And your intro to your review “Some books reach in and take your soul into their keeping. This book is one of them.” Wow! I need to hurry up and read this one. Hugs all around! Hi, Teagan! Thanks so much for stopping by. This book touched me deeply. I hope my review did it justice. The Convict and the Rose is a terrific book and I felt much like you after finishing it. Jan is a gifted writer. Thanks for hosting her today. Thanks so much for stopping by, John. It’s such a pleasure hosting work of this caliber, by an author I admire. I’m sure it is. Thanks, Soooz. 🦋 Thank you for the lovely compliment, Gwen. It was my pleasure to host Jan here today. 🦋 Thanks so much, Bette. It is an unforgettable read. I loved Jan’s book and also rated it 5 stars. It was one of my midnight reads that kept me up all night to finish. Well worth the loss of sleep, Jan! 🦋 Hello, Gracie. The books that cause me to lose sleep are the most memorable ones. Thanks so much for stopping by. Good Morning, Ladies! I am a BIG fan of Jan Sikes! In addition to writing, it seems that she’s always at a book signing, a concert pushing her talented musician friends, or on the web encouraging all of us at RRBC! Thanks Soooz ❤️ for hosting Jan! Lovely to talk to you, Soooz. 😀 I love the internet! It still amazes me just how easy it is to communicate with my friends living so far away. It’s a blessing and a curse. For instance, I’m supposedv to be making Easter dinner right now, but I can’t help but see what’s going on on the internet. LOL! I’m reading this series out of order – as after reading the third in the series, I have to go back and find out the beginning! It’s well worth the time, Wendy. All these works are memorable. Thanks so much for hosting Jan Sikes today, Suzanne! I’ve blogged about Flowers and Stone, newly rereleasedand I think it would be worthwhile to read both books in this series. All the best Jan and Suzanne! Thanks so much for stopping by today, Maretha! I enjoyed ‘Flowers and Stone’ immensely. All Jan’s books have been memorable reads for me. Hi Jan and Congratulations on your 4WillsPublishing tour. And we appreciate you for being a sponsor of the 2017 Conference. Hi Suzanne and your support is very much appreciated as well. 😀Thanks so much, Shirley. I do love being a part of this wonderful network of talented, caring, and sharing people. Jan is one of the most supportive folks I’ve encountered, and it’s a real pleasure to focus on her work. Jan, I have your series on my TBR list, and I’m worki g my way to them, slowly but surely. I’ve skimmed through the first parts of a couple of them, But I can’t wait to sit down and actually read them! 😀It was a pleasure to host Jan. Thanks so much for stopping by, Rhani. Soooz!! Happy to see you in the Blog Hop! Thanks for promoting our sweet Jan! !